These three S & S tiles with basic geometric decoration and tulip shapes in the corners wouldn't have been particularly special if not for their size. 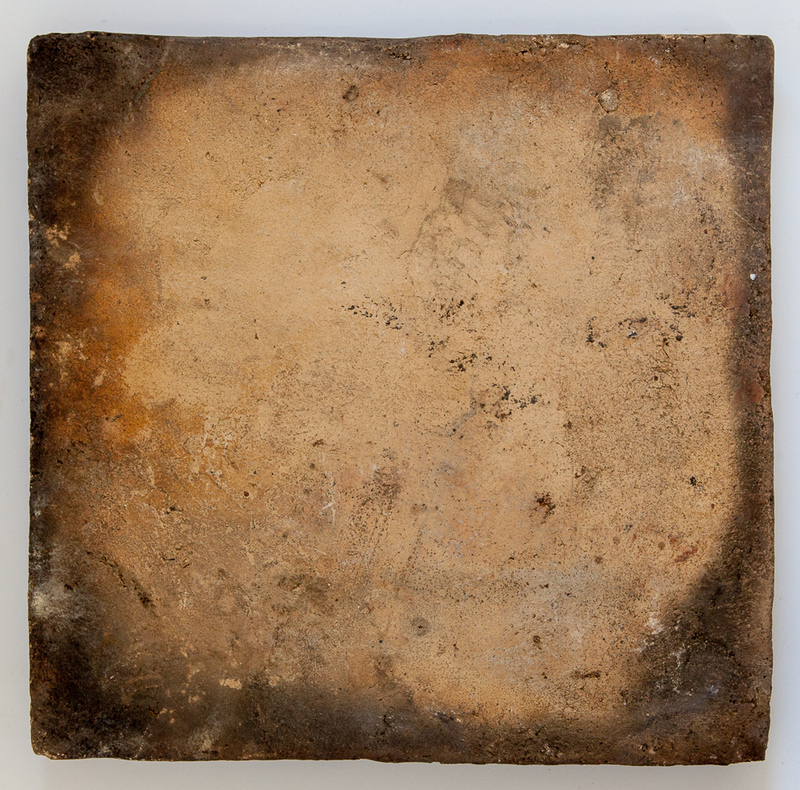 They are gigantic - each measures 12" x 12" and is 1" thick. 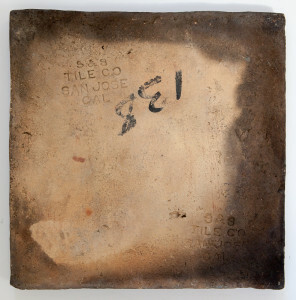 Large handmade tiles are rare; the larger they become, the harder they are to make. 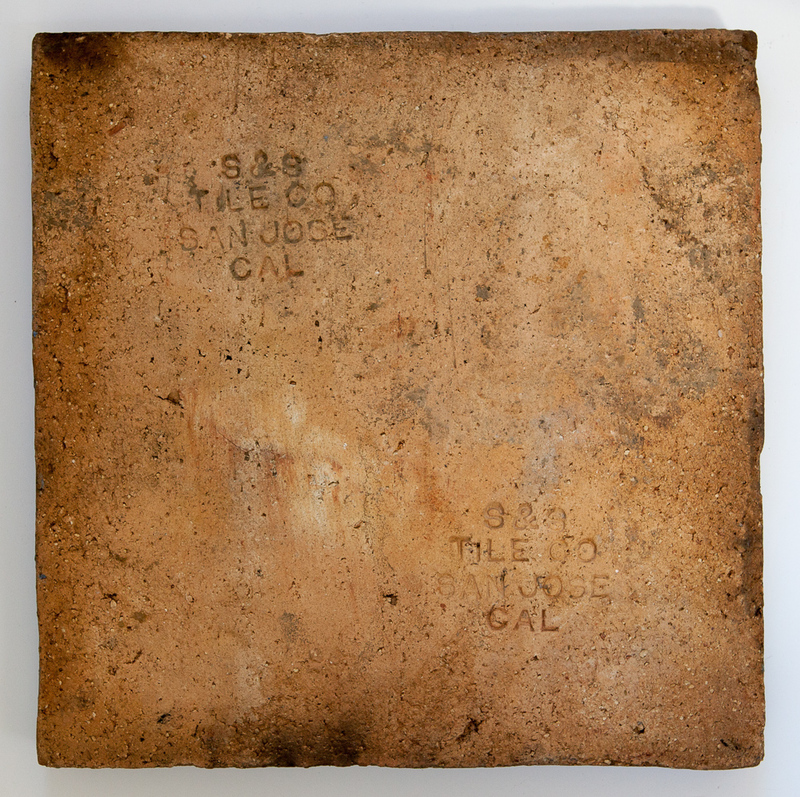 Clay warps as it dries, so keeping a tile flat throughout the firing process becomes a real challenge. S & S Tile Co (San Jose, 1920 - 1936) is known for its high-end polychrome tiles. 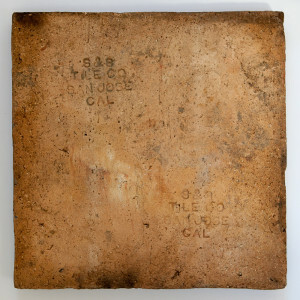 It was started by Albert Solon, an English ceramicist who moved to California in early 1910s, and his business partner, Frank Schemmel. 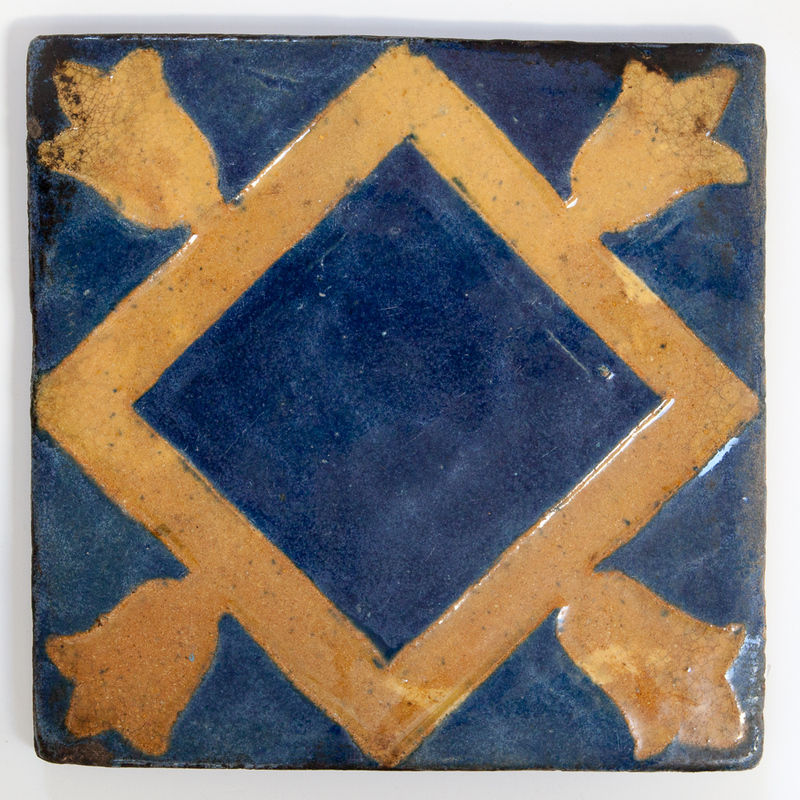 Solon was the creative mind behind the designs and the glazes for the tiles; the variety of designs, styles, and glazes used on S & S tiles is staggering. 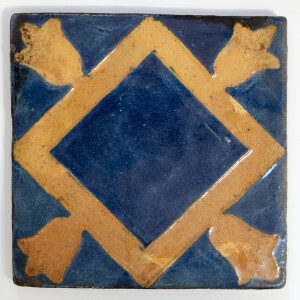 S & S was the market leader for high end tiles in San Francisco, and gorgeous examples can be found in many buildings, e.g. the Castro Theater and Mission High School. The glazes on my tiles are quite interesting. 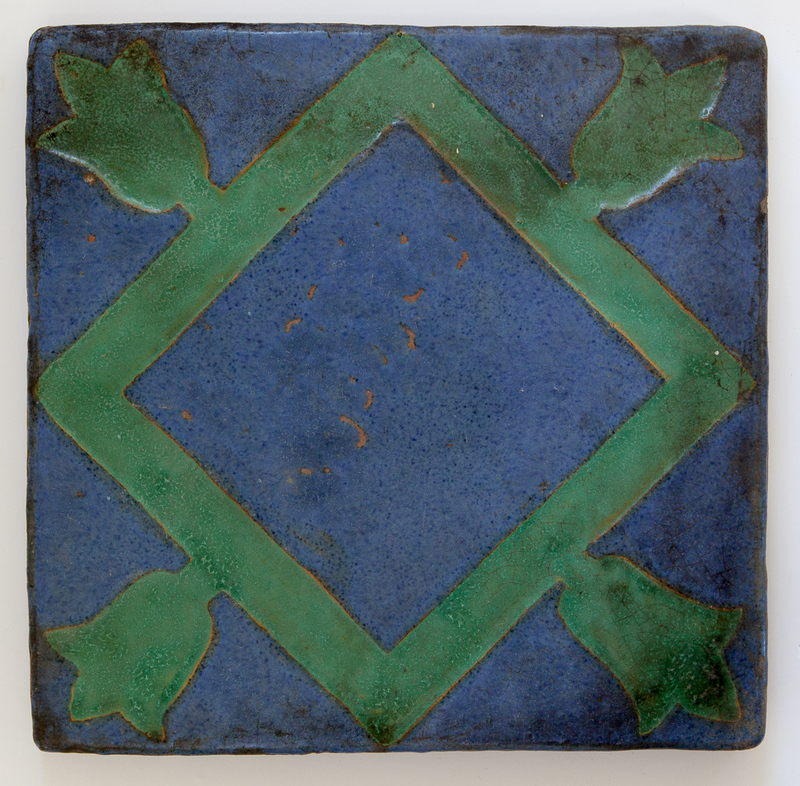 The blue and green tile has soft vellum glazes; the other two tiles are glossy. 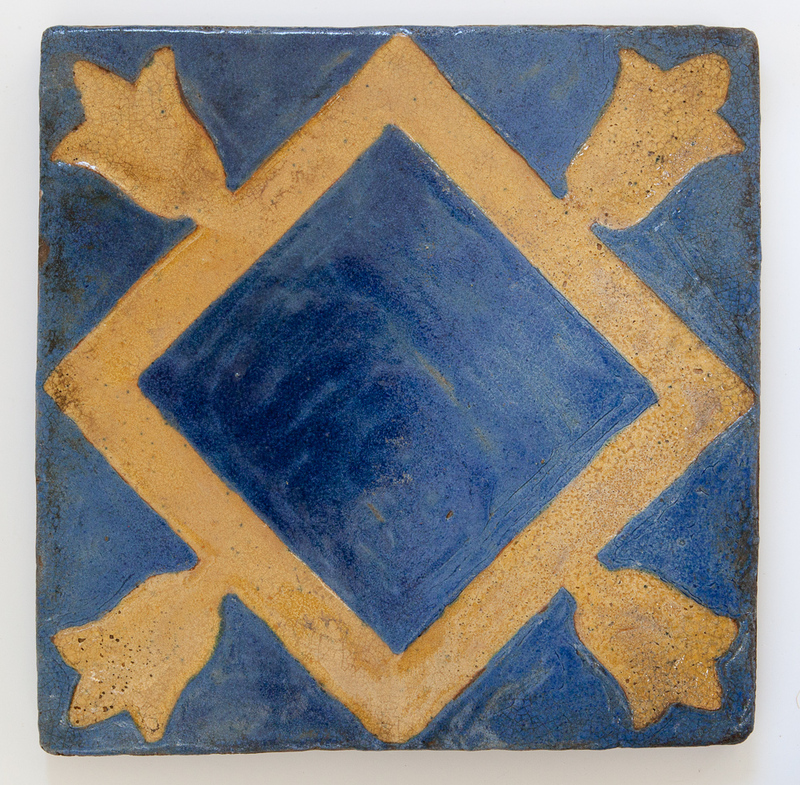 The glazes are uneven, and the designs are incised into the clay body. All tiles are marked on the back: "S & S Tile Co San Jose Cal." 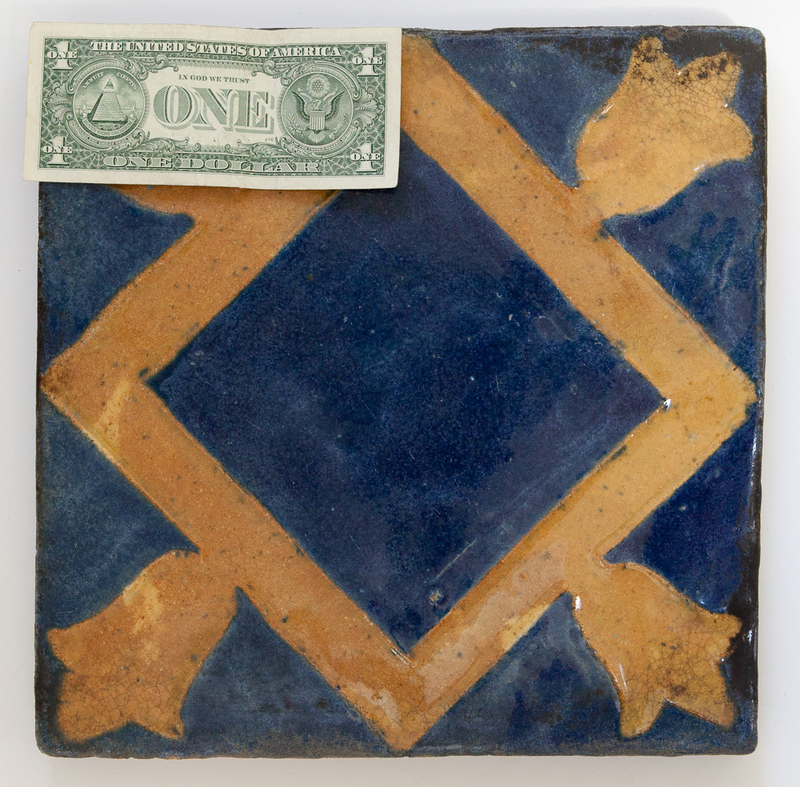 The tiles have some dirt on them but are overall in great condition.